What’s going on here!?! This Fameshed region is the worst lagged sim I’ve been in for ages. Time dilation is often well below 0.5 and seems to hover in the .4 to .8 range, Sim FPS <30 and hovers in 15 to 35, Physics FPS is 2 to 5 FPS below Sim FPS. Posted in General News, Second Life. Tagged Events, Lag. Second Life: April Fools on Who? April Fool’s Day is definitely an American tradition. Even big corporations like Sony get in on it. This year Sony released a Proton Pack ala Ghost Busters fame. It isn’t surprising that Linden Lab’s Second Life crew got in on the spoofing too. But, it was a bit of a disaster. They did their best to make the best of it. The video here is what happened to me when I logged in to go check out the spoof. They announced it here: Exclusive Message for Second Life Residents Available Inworld Today! The tease was this was something about Project Sansar. Also that it was exclusively for Second Life™ residents, so you gotta login to see it. They gave a link to SL Town Hall. The video is 10+ minutes long. I don’t expect you to watch it, at least not all of it. Posted in Bizzare, General News, Second Life. Tagged April Fools, Lag. Over on Mesh Body Addicts Lildaria has written an article with that title, Truth About Events (NSFW±). She touches on a pet peeve of mine, but her prime point is the problem we are starting to have… having… with events. Posted in General News, Mesh, Problem-Fix, Second Life. Tagged Lag, Mesh Body. Penny Patton writes about reducing her avatar’s render cost. (See: Draw Weight.) Kay Jiersen picked up on the article and wrote an article too. 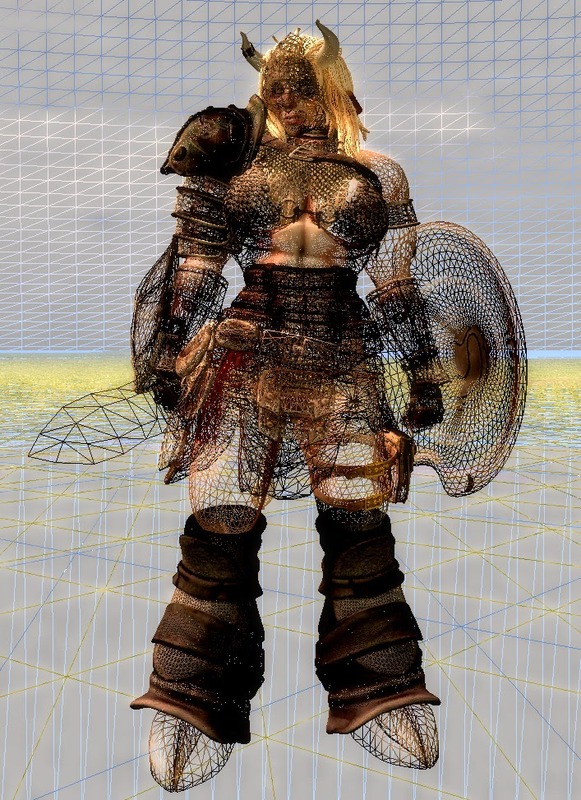 (See: Render weight best practices for Second Life.) Some time ago I wrote: Second Life Performance: Render Muting, which is about the same subject. Penny is pointing out there is a bit we can do to change our render cost with only a minimal change in appearance. Kay suspects few people are even aware of the Avatar Render Cost (ARC) feature in the viewer and have no clue they need to do anything. I agree with Kay. But, she goes on to recommend changes to Second Life, which is where I disagree. Kay made field trips to various places in Second Life where she recorded the ARC values of avatars in the regions. Kay points out that only 81 of 190 (42.6%) avatars would render using a setting of 80,000 for Render Muting. That means 109 or 57.3% of the avatars would not render . The horrible frame rates (FPS) I am getting have me looking at a new computer and a better video card. But, I actually have little hope that will help FPS in regions populated with 30+ avatars. Posted in Clothes Skins Etc, Mesh, Problem-Fix, Second Life. Tagged ARC, Lag, Mesh Tutorial.